Own a business, thinking of a simple yet effective way to advertise your business or services on your vehicle. 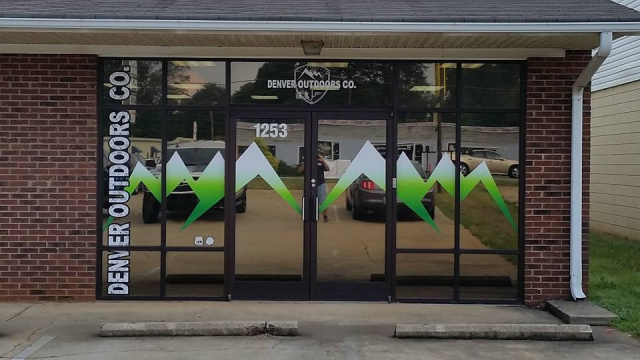 We can create window lettering and graphics to apply to your rear window or side windows of your car, truck, or SUV. 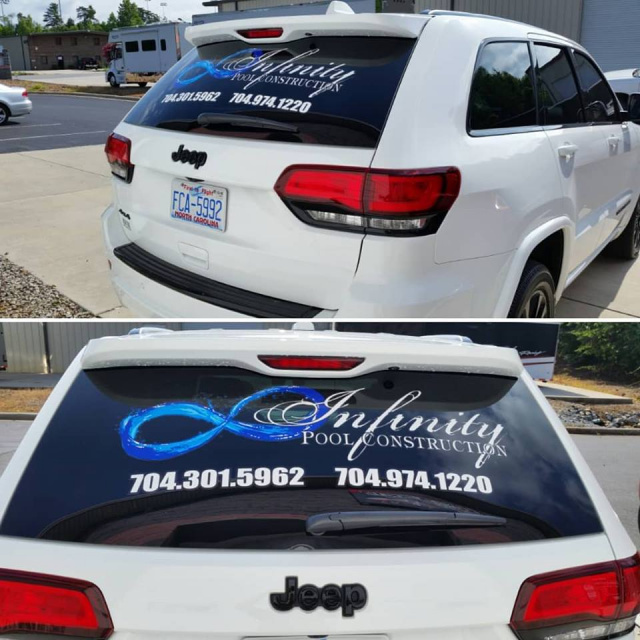 These are also the quickest and simplest way to add lettering to your company vehicle without applying any vinyl to your paint. Contact us today for an estimate. Does your business or storefront have windows and door glass. Want to attract attention to that business to bring in foot traffic. Invest in some storefront window lettering. Window perforation is also available. Contact us for what options are best for your location. Want to advertise your business or services on your company vehicle but have a tight budget or not just quite interested in a partial or full vehicle wrap? 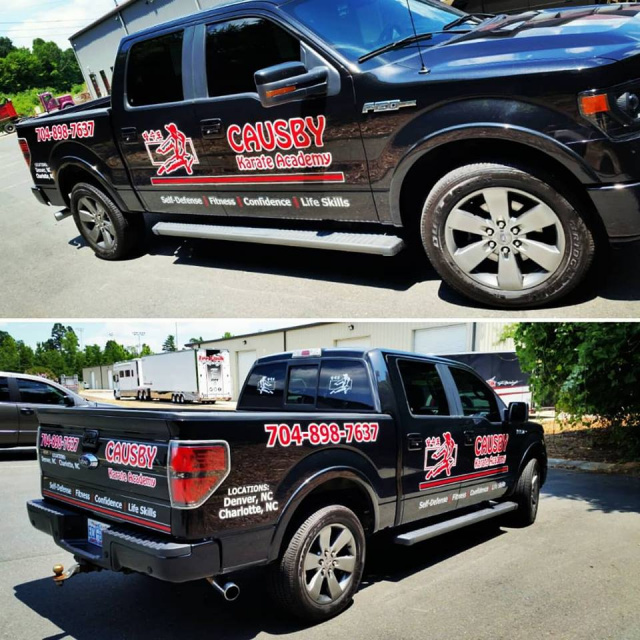 Then vehicle lettering is your most economical option, We can create eye catching lettering and graphics for your business vehicle. Sometimes less is more. Contact us for an estimate for your ride. Did you just purchase a new watercraft and need Registration Numbers? Yeah we can take care of that. Either custom color matching numbers or simple numbers. 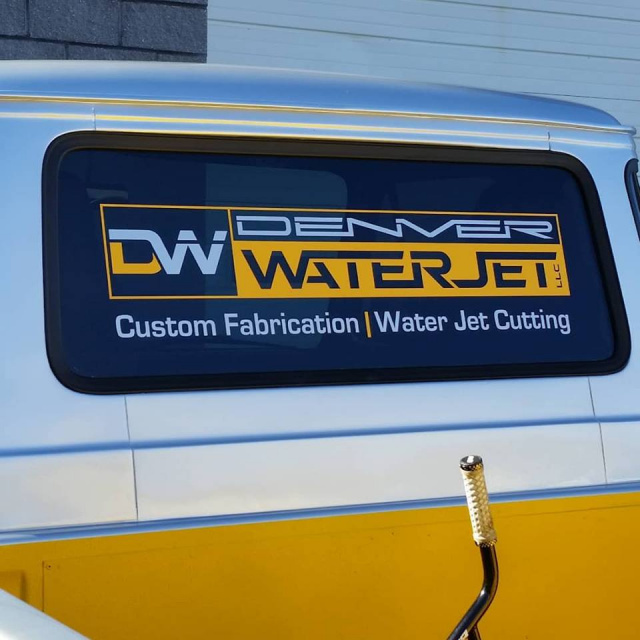 Are you looking to refresh or add some lettering to your watercraft or boat? 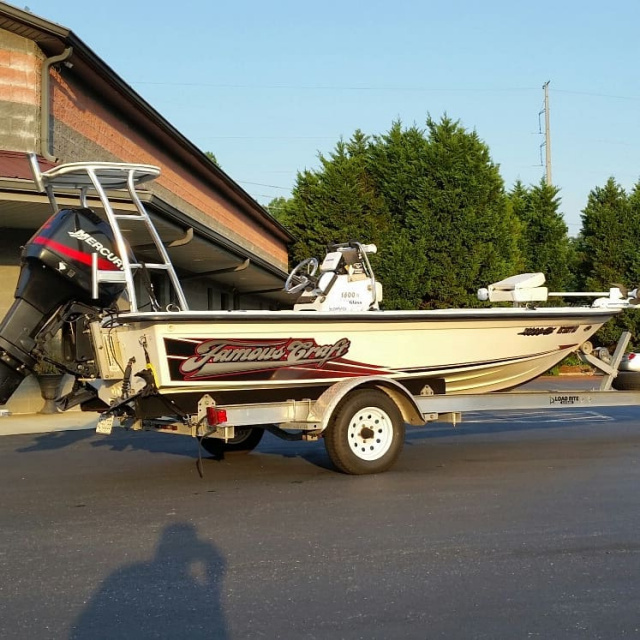 We can recreate watercraft logos and graphics for your watercraft. Contact us for an estimate. Do you own a trailer for your business or race team? 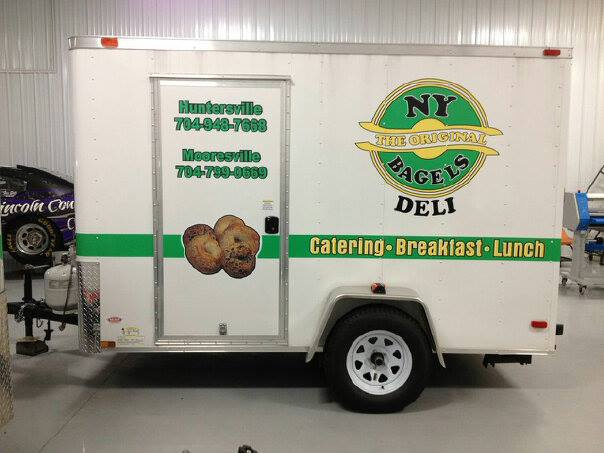 We can help you advertise your business or sponsors information and logos on your trailer. No matter the size, we can help with lettering for your trailer. Contact us for an estimate.